Ah, Christmas. 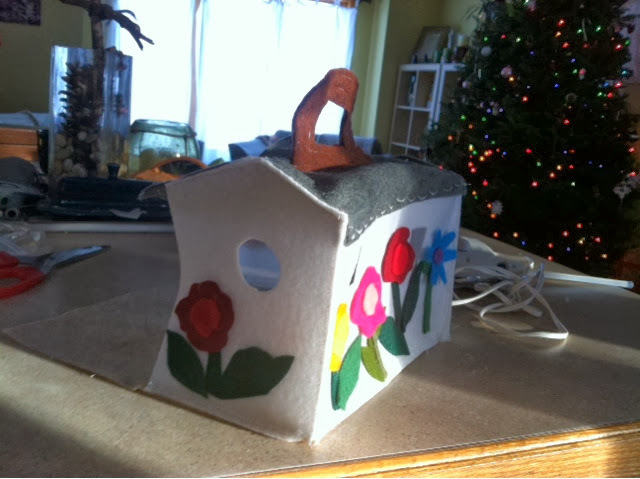 Christmas of frantic crafting. Peaceful moments in front of the twinkling lights and then, and then, the puking baby, and the lights on the twinkling tree, as I am holding the puking baby, give off a loud pop and start smoking (I am not making this up for effect). It was like the world was saying. Ok. Things are not under your control, mama Sara, so you, my dear lady, need to let go and just be. And honest to goodness it was the most relaxed I have felt about Christmas time in YEARS. I think, in retrospect, it was probably because having a pukey baby gave me permission to NOT get I all done, you know? 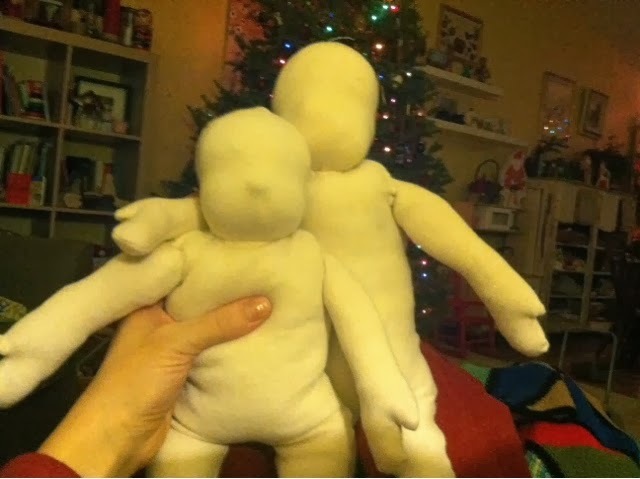 Drink a glass of wine instead of making pocket babies for the cousins. In any case. Baby puked, and brother did too, and we spread our germs all around my giant family, although they were okay with it because they love my kiddos, and we opened presents and ate a little Christmas chocolate and watched movies and played Wii, and it was good. And yesterday I came home and, feeling like I had overindulged for several days, as I have actually done, dada made this soup, which I made once last week, which really is the perfect end of the holidays nourishing yummy soup. Saute a few handfuls of shitake mushrooms in butter. Defrost a yogurt container of good chicken stock, made after roasting a chicken (which is what we do every time, simmer water and the chicken carcass, strain, saving any meat for soups, and store in old yogurt container in the freezer). 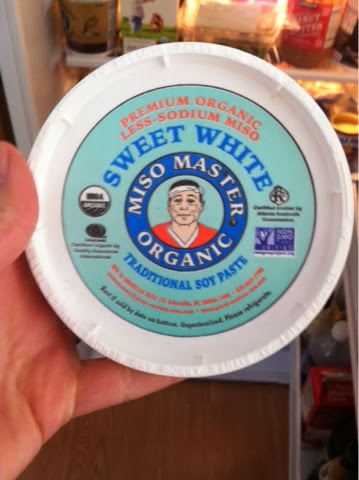 Add several tablespoons of miso paste, stir to mix it in. Add in chopped garlic (a teaspoon or two cloves.) Add in some chopped ginger (a teaspoon) or several shakes of powdered ginger. Add in frozen or fresh broccoli and some shavings of carrot and chopped scallions. Cook all this for awhile until veggies are tender to your liking. Now cook in a separate pot your thin rice noodles, per instructions on box. The kind we get needs to be cooked by boiling water, tuning off heat, and then dropping in the noodles and let sit until nearly done (6 minutes). 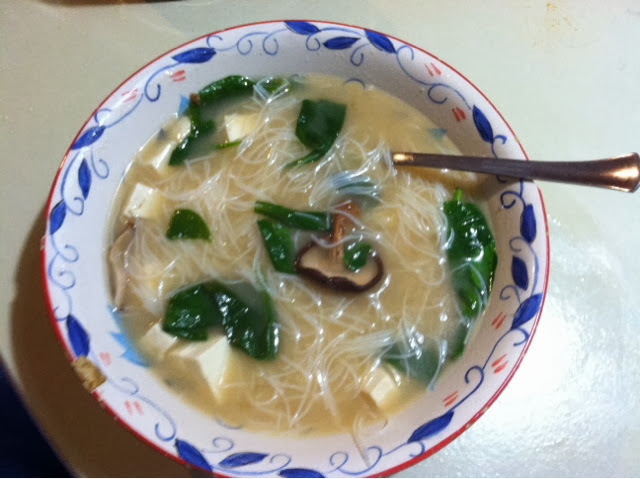 While these sit and cook chop up a cup of firm tofu into small cubes and add this to the soup. Now strain the noodles and add. Stir in several handfuls of fresh spinach or some sprouts until just soft. Turn off the heat. I added a generous dousing of soy sauce to mine. OMG so good. Especially after eating things like meatballs and egg bakes and WAAAAY too many peanut butter filled pretzels for the past five days. Happy almost new year mamas! So, I'll cut to the chase. Here is the thing. So, you know how you start pinning Christmas ideas on Pinterest around October? And you get this whole list of things you feel you MUST craft by next year? And even when you feel you are being modest and cut that list IN HALF. Please girl, for the love of all that is holy and sane and good in this world, PLEASE START CRAFTING ASAP. I mean, like IN OCTOBER. NOT THE WEEK BEFORE CHRISTMAS. p.s. you write that book yet?? GO GET 'EM. no seriously. DO IT. p.s.2 have a spiked egg nog for me. thx. Dada is out running errands with little miss, baby is asleep in my arms, little man is reading books on the iPad. 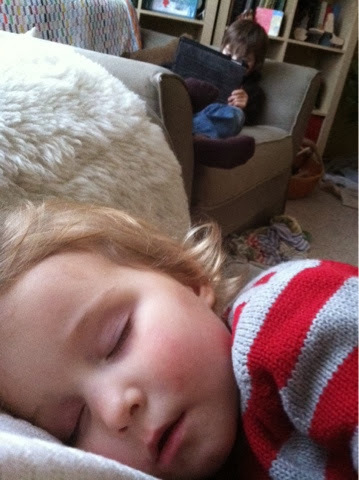 Instead, I just sit, holding a sleeping two year old, listening to the quiet, just to be, for one moment, still. Can you believe less than 10 days till Christmas??? Oh, the crafting I have to do!!! EEEEEK. I have lists coming out of my ears. On every electronic device we own. In long email strings with poor dada who can only smile and nod and try to keep up. Lists and lists and more lists. Piles of craft supplies. Sketches for dada to take to his woodworking bench. Shopping lists swirling in my head as I go to sleep each night. 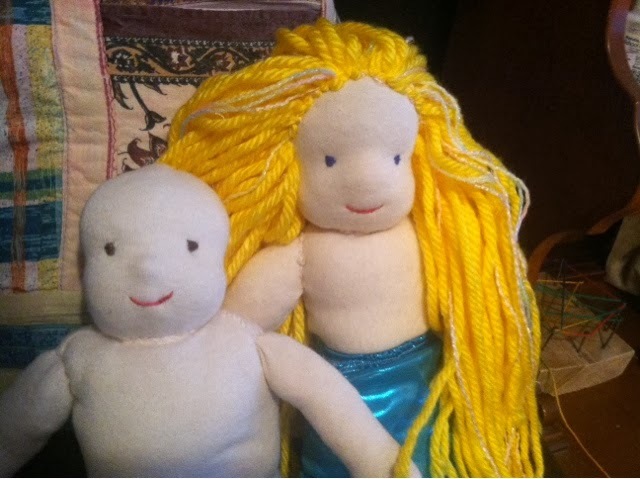 Images of doll patterns and mermaid flipper costumes. And then, and then, and then. You have to stop. And think. And remember. And I did this yesterday. "It is NOT the season for To Do lists. Put aside the To Do lists. Put aside the agendas, the NEED to get it done thoughts. For it is, instead, to be a season of peace, contemplative peace." And then, then she went on to talk about the revolutionary that Mary was, an unwed teenage mother, crying out to her God, in the Magnificat, despite what society said of her, she called out, dancing for joy at the miracle of her life, the life in her. Feeling blessed. Wouldn't it be revolutionary if we all did this in our approach to motherhood? In the nitty gritty of our daily lives? Danced for joy at new life? Danced to celebrate the 2am feedings. Danced to celebrate the getting woken up at 6am with "MOOOOM I WET THE BED. AGAIN" The cold cups of coffee found lying around the house. The pine needles everywhere. The smudged windows. The rejected Pinterest crafts. And yes, the dear moments too. The happily playing ninja children. The boy who gets you tea. The smiling hugs and jumps when dada gets home each night. Dinner cooking on the stove, steaming up the windows, as the lights flicker on the tree, happy noises everywhere. Cry out to the world. But. Yes. All of it. SHOUT IT OUT. THIS IS GOOD, SO DAMN GOOD! Not that it is all "good good" but that it is GOOD. That I can be at peace, with it all. And if we were to do this, to shout it out to the world, to dance to celebrate it, let our cries be lifted to the heavens and then fill our hearts, with peace. How revolutionary would that be??? "What would the above scenario look like??" I mean, the whole "shouting it out from the rooftop" bit?? You know? 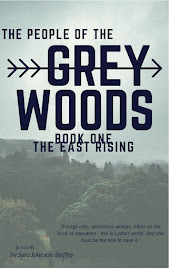 Honestly, I think it looks like, getting up on a grey snowy morning, throwing back the cozy covers, putting in another load of laundry, hugging a little body that slips and falls, putting socks on cold toes (over and over again), making grilled cheese, cleaning up more pine needles, doing the dishes, getting dinner started. This. This is what it looks like. 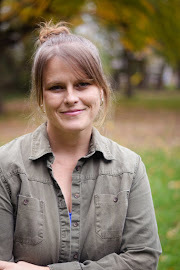 It also looks like, emailing an old friend, just to say hi, letting dada have the middle cinnamon roll, even though that is the best one, texting love to a friend in need, crying at another friends losses, and crying at their joys, staying connected to other mamas, even when you are the drained one. And we are doing it, you know? Even on the hard days. The survival days. We do it. Over and over again. And that, is something to dance about. You know? We are blessed. And I am not sure if this makes sense, as I write it out and put it out there, but there is something in me that needs to affirm what I am doing in this moment in life - the gnome crafting, the mac and cheese, the homeschool lessons, the so on and so forth of motherhood - something in me that needs to embrace it, embrace it and be at peace. And, I write it here, no matter how garbled it comes out, because I figure maybe one of you out there feels the same way. So, there it is. dancing to Christmas music. HA HA. I think I should use this one in our family Christmas cards. HA. The others weren't much better! 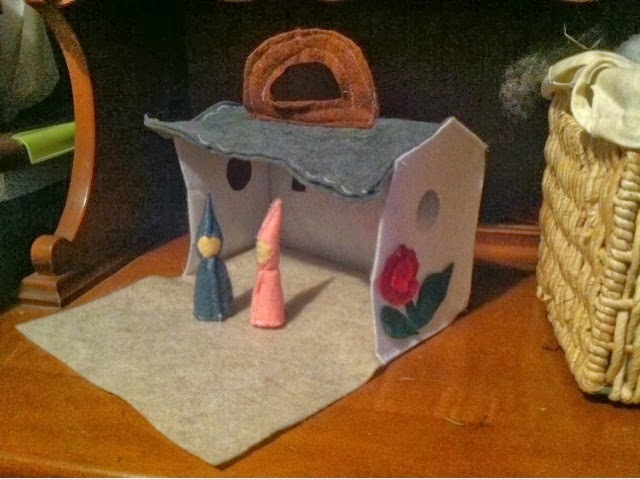 Little miss actually just helped me craft -making a gnome house and gnome family for her little cousin - and she was actually involved for more than an hour, and she was actually helpful (those little four year old fingers are perfect for stuffing wool into tiny gnome hats.) And for my first time ever, crafting with children (aside from glitter and glue projects specifically FOR them) was ACTUALLY FUN. I'm glowing, can you tell? 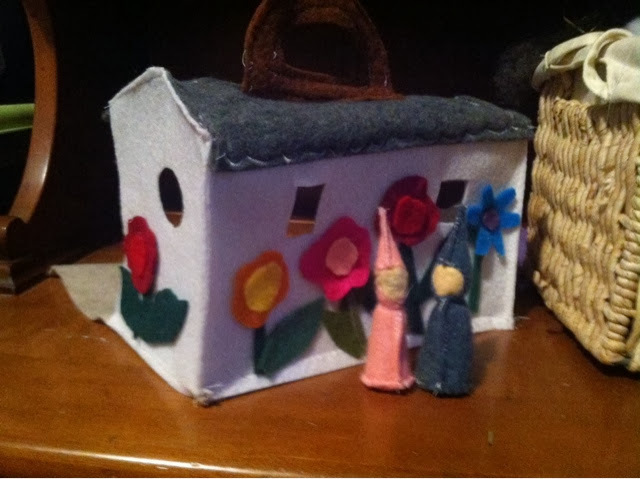 And this sweet little house and gnome family are seriously some of my best crafting to date. Happy mama. Happy girl. Happy Christmas crafting! This project is super simple. 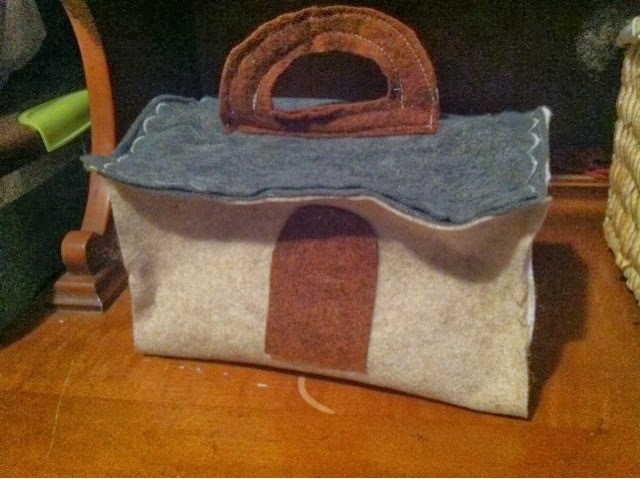 I used a sewing machine to stitch up the house, the roof, the handle, and the capes of the people. 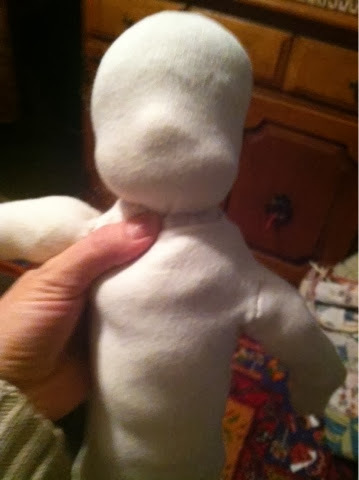 Then I hand stitched in the faces and then the bottoms, after stuffing them. I used a glue gun for the flowers, so much easier than hand stitching! So fun! I wanna keep it! For me! 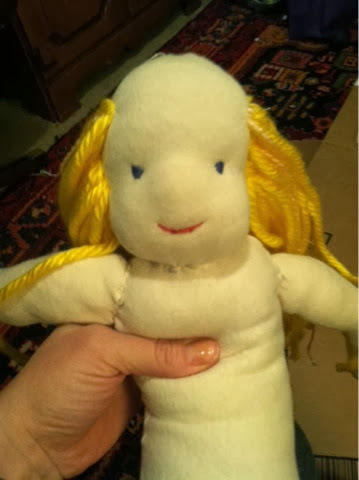 I'm totally gonna be the little old lady making herself toys in her 80s. My fondest dream right now (after a week in the Mediterranean sampling wine with dada and NO CHILDREN) is for my children to fall asleep so I can sip wine, attack the half pint of Ben and Jerry's left in the fridge and watch last weeks Scandal, huddled up under a blanket, Christmas lights twinkling...ahhhhh almost there....T minus 1 hour till bedtime, but who's counting?? Meanwhile my second favorite dream (third really after the sunny Italy wine tasting dream) is playing out in front of me right now. All three kids happily playing ninjas in the other room, squeals of laughter, okay some chasing and one episode of "he hit me with his ketana!" and just now a little bit of "mean baby princess" stripping down ("I naked, to be funny!") chasing the kids with a "fire whip." They now are calling her "naked whiplash the ninja." And seeing baby, no longer a baby, join in their play. And she really does, and it's funny to watch her little self emerge from baby-ness. "Ding dong ding dong!" She calls out, when she greets them, "it's me! Ever!" Wagging her head like a little bell. So funny, her own self. And such a transition too, when you go from big kids and baby, to, kids. Full stop. And they play and laugh. Come little man, I say, come do your job (unloading the dishwasher). But mom, he says, I'm playing with Ev, and she's being so cute and funny! And oh, this is the good stuff. Negative 15 or so right now, hardly leaving the house, fire crackling in the stove and sure plenty of whining and tv and etc. but then those moments where it shines through, their love for each other, the joy in playing, the contentedness. Oh, I can read my new divergent book tonight too! Okay. Enough with the blissing out. Little man just pretended to cook little misses head in the pretend kitchen oven. Ha. 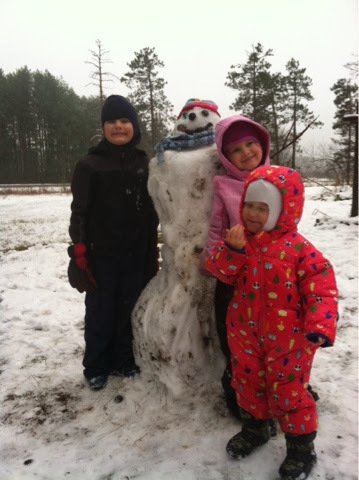 First snowman of the season! 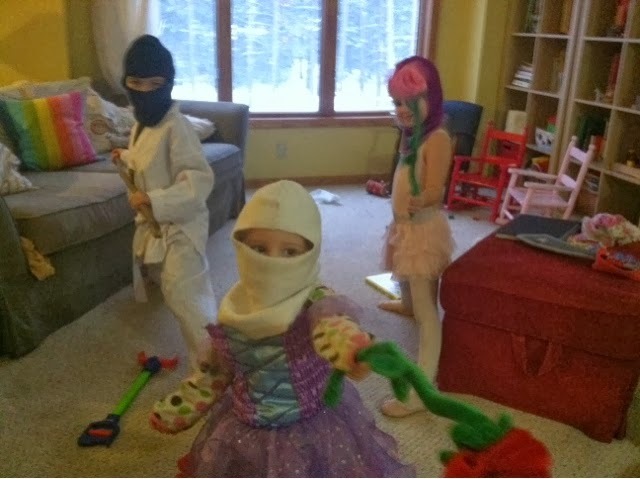 Fierce ninjas, and one ninja princess. Here is me now, ignoring the happy chaos. Did I mention the weather?? No seriously it's so cold. And, It wouldn't be a post from me without kvetching about the weather. Also, glasses. 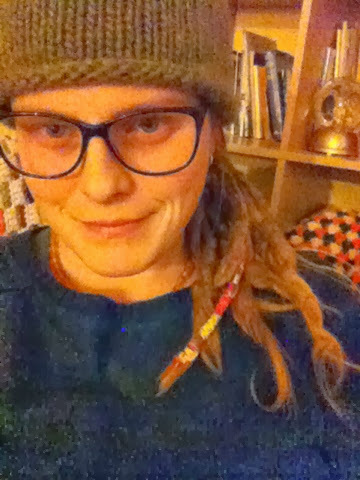 I opted for the hipster look. My sisters assure me I look hip and cool and artsy. Ha. No more headaches so, that's enough. Okay. Bedtime for real. It is freezing out. I mean freezing, like below zero. "Are you sure St. Nicholas can get through the patio door (where we usually leave out our shoes) its frozen shut! Maybe its too cold!" This is what little man just said to me, two seconds ago. We have done nothing St. Nicholas-y today. I sewed (I made pajama pants for little man out of an old flannel pillowcase!!) the kids played and watched a movie. Oh, wait, it was "The Rise of the Guardians" which does have Santa in it. Maybe that counts? We've been reading all week about St. Nicholas though, his life, the good deeds he is known for. The one we liked the best was a young Nicholas leaving three gold bars in the window of a man who had lost his wealth and couldn't feed his family of three girls. "Can you imagine if someone dropped a bar of gold through your window?" says little man. Right now little miss is screaming on the couch, face planted in the cushions. She is exhausted. I gave her a bath (to warm up!) before dinner and she went in her room, wrapped up in towels, and fell asleep on the floor. I tried to go in and get her dressed and now she is just wailing, angry, how dare I put clothes on her. Baby is asleep on the chair, somehow she manages to block out the screaming. Little man has a cough, dada has bronchitis. But I have elderberry syrup simmering on the stovetop. Wow. It smells really good. Have you made it before? I think I love it. Whew. She stopped the screeching. Crap. She just started again. To be festive, here is the favorite Saint Nicholas story we have told several times this week. Maybe that would get her to stop? Maybe. Although dada did get a fresh box of wine last night...hmmmm, decisions, decisions, engage in parenting or block it out. Once St. Nicholas rode across the clouds from a country where the sun rises in the morning to a country where the sun says goodnight in the evening. Up in the heavens he met Mother Mary who was carrying the Christ Child in her arms and Mother Mary said to St. Nicholas: "Once again it is time that I take the Child down to earth for a while so that he can play with the children." When she had said this, many little stars came along from all sides of the heavens and asked whether they could go with them down to the earth. "Yes," said Mother Mary, "but only if the moon will show you the way, for I cannot carry you all under my cloak." When St. Nicholas heard this he rode off to the moon: "Good evening, dear Moon." "Dear Moon, will you please show these little stars the way to the earth." "Yes, willingly, if the sun comes along too." St. Nicholas rode to the sun. "Good morning, dear Sun." "Dear Sun, will you please help to take these little stars down to the earth?" "What do they want to do there?" "They want to play with the Child of Light and the children of the earth." "That is how it should be," said the Sun. And now the sun placed himself on one side of Mother Mary and the moon on her other side. The moon took the little stars in her lap, and the sun held the hand of the Child of Light who was sitting in his mother's arms. Thus they went together down to the earth, but St. Nicholas rode on in front of them. He rode so fast across the clouds that he arrived on the earth much earlier than the others. On earth he went from house to house and told everyone that the Child of Light would soon arrive, and he gave the children on the earth presents so that they could play with the Child of Light. Then the Child of Light arrived on the earth accompanied by sun and moon. He jumped out of Mother Mary's arms and showed the little stars the path to the children on the earth, but when the little stars leapt out of the lap of the moon onto the earth, they had all become human children and played with the Child of Light and the other children on the earth. It was a happy game, for the children of the earth play more beautifully and happily when the Child of Light plays with them. Mother Mary looked on and smiled. Many stars who had become children of the earth stayed with the human children; and when Mother Mary took the Child of Light back into the heavens, many children of the earth were allowed to go with her and the Child of Light, to live with the stars. Snickerdoodles. As in the cookie. What is up with that name anyway? And yes, gluten free, and they could be grain free too if you went with all almond meal/flour. And here is how to do it. The recipe I was (kinda sorta) following said to use parchment paper. I didn't. Because I am lazy. But I did use stoneware, maybe that helped. 1/2 cup of butter (did I use that? Not sure. I guessed because I have a big block of butter that I chopped off of) and 1/4 cup coconut oil. Now two eggs, 2 tsp vanilla. Cream these things. Add in 3/4 tsp salt and 1/2 teaspoon baking soda. 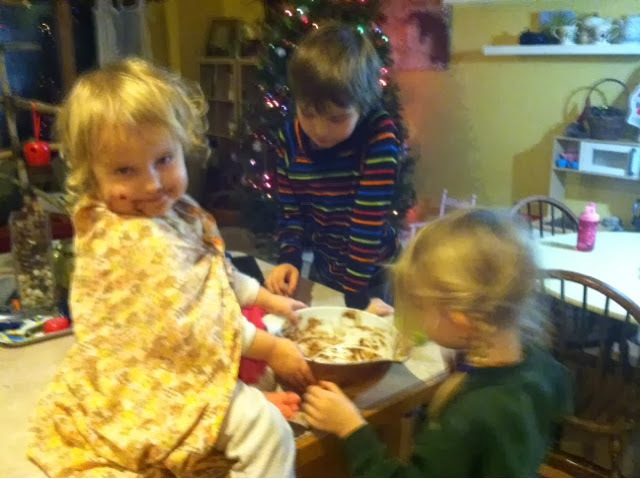 Now three cups of flour. So I used about two cup of almond meal (you can find it super cheap at Trader Joes!) and 1 cup of my trusty gluten free flour mix by Namaste Flour (something like this). Now, if you have crabby cookie demanding children begging at your knees you can bake some, right off the bat. Otherwise its best to refrigerate for at least an hour to firm it up a bit. Okay. An hour later (hopefully you didn't leave your stove on for an hour) now take 1/2 cup sugar, or so, and a few dashes of cinnamon and mix in a bowl. My kids were begging to do this part. I didn't let them. Ball up spoonfulls of dough, roll in the mixture, and then smash flat onto a baking stone. This batch made a few dozen cookies. See how long they last. HA. Now seriously. Go try them. Also. It has been snowing on and off for two days. And I am officially okay with it, since it is December, and the dead grass was getting boring to look at out the window. Here are some obligatory play in the snow pics. Also. Its Saint Nicholas Day on Friday. (I will post on this tomorrow.) We've been having fun reading about Saint Nicholas, the real person, for our language arts this week. Also. We did a Jesse Tree this year. I will post on this tomorrow too. Have you done it? Also. I didn't hit 50,000 words with my NaNoWriMo book project. But I did hit 30,000 words. And I am still writing. And I still love it. YAY. Baby dear is now asleep in my arms. At 5 o'clock. CRAP. But, I have good cookies to stay up and eat so, YAY me. c'mon mom. LETS BAKE COOKIES. cant we taste it??? dad lets us!!! we like eating snow, they say. you are weird, I say.